I have been really trying for the last month or so to not shop and save money and knowing me thats about next to impossible. Luckily I haven't really purchased anything clothing wise since before the holidays but I am starting to get a major urge to get some items in my wardrobe which thankfully I can with a nice blend of gift cards I have. I am truly holding out until spring so I can get all the new items but since SoCal is actually experiencing winter right now I may need to break this little rule and get me some new things. 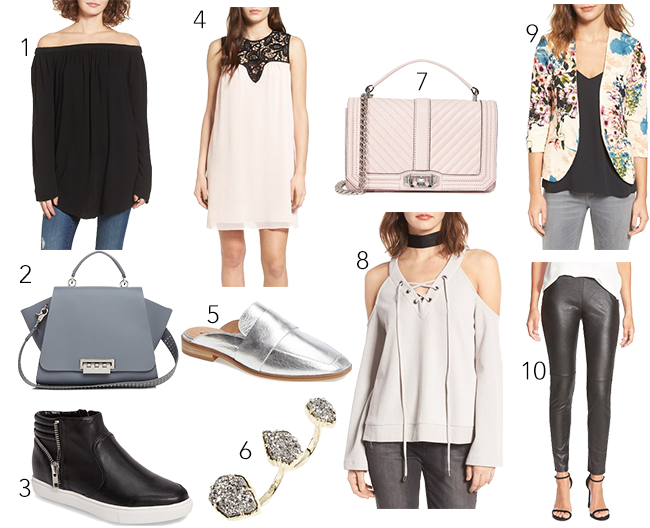 I decided to put together my list of the top 10 things I am lusting over right now, because what a better way to start the week than with some must haves! Hope y'all had a great weekend and for those of who have today off I envy you hehe!